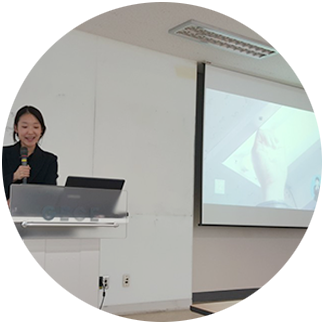 Dr. Kyungah Choi presented a work entitled, “Lighting design considerations: The impact of light on melatonin secretion” at the Asia-Design Engineering Workshop (ADEWS 2017). This study aims to investigate the impact of indoor lighting conditions on physiological and self-reported responses and determine whether these effects depend on the time of day. The study is expected to provide the basis for major changes in future lighting strategies and thereby shed light on better indoor environments. The lighting design should begin with a thorough understanding of the physiological effects that are unique to light. This study aims to investigate the impact of indoor lighting conditions on physiological and self-reported responses and determine whether these effects depend on the time of day. Fifteen young adults were exposed to two light conditions (3500 K and 6500 K) for an hour, both in the morning and the evening. Melatonin secretion was investigated along with self-reported visual comfort. The study identified that cool lighting (6500 K) resulted in attenuated melatonin secretion in comparison to warm lighting (3500 K), which may be detrimental to sleep in the evening but beneficial in the morning. Taken together with the self-reported measurement, the experimental findings have important implications for designing indoor lighting: it seems necessary not to expose users excessively to warm lighting during the morning and cool lighting during the evening. Although further research is necessary, this study is expected to provide the basis for major changes in future lighting strategies and thereby shed light on better indoor environments.